In the Spring of 2013, the writer Marie Mutsuki Mockett entered into the 12-mile-radius “exclusion zone” around the Fukushima Daiichi Nuclear Power Plant in Japan with a Buddhist monk. Wearing a full-body anti-contamination suit and mask, she visited the monk’s four-hundred-year-old temple, which he and his family had been forced to evacuate soon after the the 2011 T?hoku earthquake and tsunami triggered a nuclear meltdown. Mockett had also returned to Japan to visit her own family’s Buddhist temple, 25 miles from the nuclear power reactor in Fukushima. In the wake of her father and grandfather’s deaths, the mourning of the country mixed with her own personal mourning. Her latest book, Where the Dead Pause and the Japanese Say Goodbye, published this month from W.W. Norton, turns to the history of her family’s temple and the experience of coping with death and disaster. Tuesday, February 3, come hear Marie Mockett read alongside Emily St. John Mandel, author of the National Book Award finalist Station Eleven. For details and to reserve a seat, check out our events page. On March 11, 2011, I woke to a text from a friend alerting me that Japan had been jolted by an earthquake. At first I dismissed the news; Japan often has earthquakes. I’m originally from California, and it, too, often has earthquakes. But the urgency of the message intrigued me, and I eventually got out of bed and inspected the news on my computer. 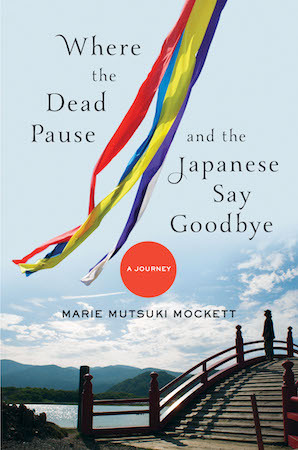 Where the Dead Pause and the Japanese Say Goodbye by Marie Mutsuki Mockett. January 2015. Published by WW Norton. This was no routine earthquake. I checked the epicenter. It was 8.9 or 9.0 on the Richter scale and 130 miles off the coast of Sendai. Reports streamed in that the earthquake had triggered a tsunami, and a graphic of Japan showed an increasingly wide area of impact. 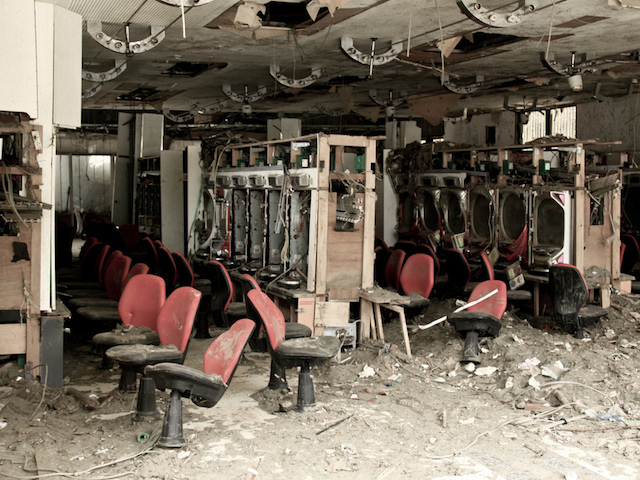 The coast of T?hoku, the northeast region on Japan’s main island, had been eviscerated. 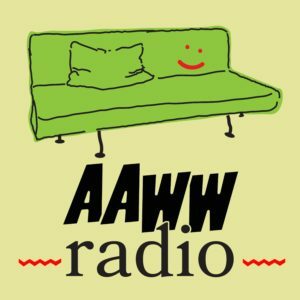 Even though it was morning, my husband poured me a glass of wine from a bottle we’d half drunk the night before, and I sat and watched the Internet, with the radio on in the background. For thirty-six hours after the earthquake and tsunami, I was unable to get any word from my mother’s family, who own and run a Zen Buddhist temple in Iwaki, a city about eighty-five miles from Sendai on the T?hoku coastline. Thirty-six hours does not seem like a very long time given the distance (around seven thousand miles) from Japan to New York, where I lived, and the time difference (thirteen to fourteen hours, depending on the time of year). But this waiting period felt akin to a week. Friends phoned and sent emails and texts. The attention made me self-conscious. I was not in danger. I called my mother in California and told her not to go to the beach. Japanese temples, especially older Zen temples like my family’s, are often safely located high up on a hill. This is because a temple is supposed to bring you closer to Buddha and to the gods, who almost always live up in the sky, out of mortal reach. Tsunamis usually impact coastlines, but this particular event was so powerful, the water infiltrated rivers, scaling heights previously considered secure. I watched the images as they were updated, looking for any indication of my family’s fate. A photo came in from Onahama harbor, the seaside port in Iwaki. I picked up the phone again. Nothing. Before the tsunami, the great tragedy that everyone skirted in conversation in my Japanese family was World War II. On August 9, 1945, my great-uncle was out fishing in the Pacific, far enough away from Nagasaki, Japan, where he lived, that he missed the immediate impact of the atomic bomb dropped by the Americans that day. 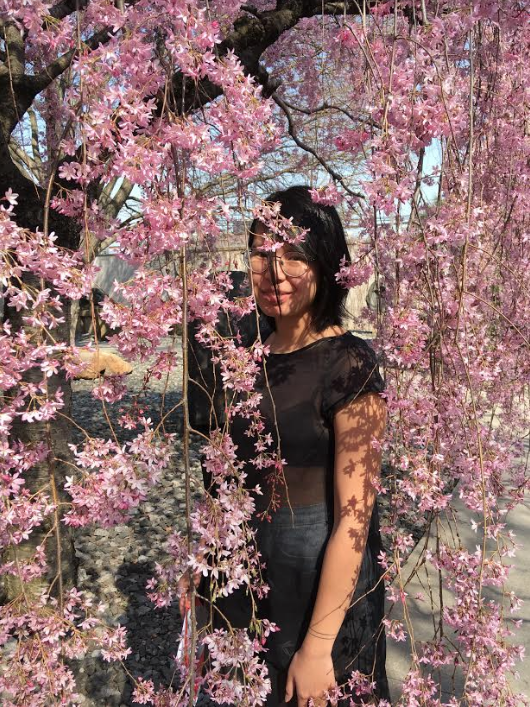 My great-aunt was in their new house outside Nagasaki; the entire family had fled the city only a few days earlier because my great-uncle feared a repeat of the bombing of Hiroshima. I heard this story many times during my childhood. Back then it made me feel that my great-uncle was a clever man. As an adult, I realized he was also very lucky, because cleverness alone cannot keep you safe. I wondered if my family in Iwaki would also be lucky and smart. I wanted to know, and I did not want to know. I kept dipping into the world of the Internet, with its videos of water raging over the farmland and crushed ferries, and then quickly backed out. Not looking at the videos kept reality at bay, because the images of the coastline did not match the Japan that I knew and loved from childhood. Along the Tohoku coastline. Photo courtesy Chris Barnes. In the Japan that I knew, I boarded the J?ban Line train from Ueno station in T?ky? and traveled up the northeast coast to Iwaki. If it was spring, the bent? stalls in Ueno station sold cherry blossom–themed meals to eat on the train: pink cakes made of mochi rice paste cut into flower shapes. The train would stop at Kairakuen, a park in the city of Mito that is famous for its plum blossoms. Not long after leaving Kairakuen, the train curved along the tracks and began to hug the coast. Then I knew that I had entered T?hoku, the northern region of Japan where the goddesses and demons of legend seem alive and seafood is sweet. My Japanese grandfather was particularly fond of mehikari, or “flashing eyes,” a succulent fish that is an Iwaki specialty. Often on this journey, I would switch to a local train to get off at Nakoso, a town famous for its inns and hot springs, and formerly a way station on the footpath connecting T?hoku to Edo, the old name for T?ky?. My favorite spa, Sekinoyu, is just yards off the beach, a vegetation-thick cliff at its back. The waves of the North Pacific crash right outside the windows. I did not see how the spa could have survived the tsunami. Its Web site was eerily still online, with numerous photos of ocean views through the windows of the bathing room and the dining rooms; no status update was posted on its main page. Now the J?ban train was not running any farther than Mito; past this, the tsunami had battered train tracks and highways, making passage nearly impossible. A section of one train was found on its side just north of Iwaki, the cars abandoned. 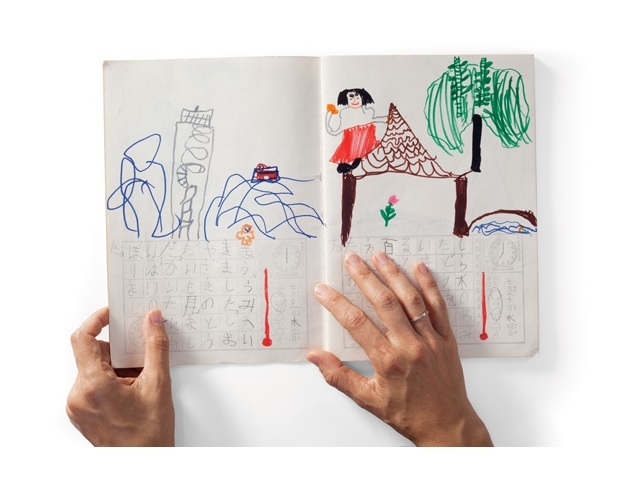 As a child traveling through Japan with my mother, I kept an illustrated journal of our adventures. In one entry, I was swimming in the waters off the beach at ?arai, a town located on the T?hoku coast whose name means “big washing,” which sounded romantic before the tsunami. Now ?arai was covered with sludge. In another illustration, I was standing under the gigantic, chandelier-like ornaments of Sendai’s famed Tanabata star festival. But Sendai had been pummeled, and its airport closed. In yet another diary entry, my mother was knee high in dark blue water and holding an umbrella while I clung to her back. I remember laughing as my mother carried me to the safety of an elevated train platform, but we were also afraid. What if the flooding did not stop? 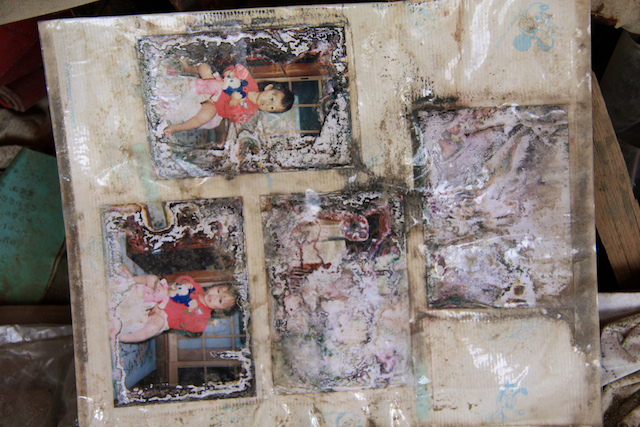 A photograph of a page from a journal Marie Mockett kept as a child in Japan. Photo by Robert Clark. “Run,” I would answer. “Why?” she would fire back. As I got older, this questioning became annoying. Born in Japan, my mother had trained to be an opera singer in Europe, where she met my father, an American. Both had a tendency to behave as though they were on a stage. Sometimes I got to be on stage with them. Sometimes I was the audience. It made it tricky to know what to take seriously. “Come on. Why?” she’d press. “Because it means a tsunami is coming,” I’d sigh. After thirty-six hours, my mother got through to the “temple”—this is how we refer to our relatives. “Marie, I spoke to the temple. Ry?ko answered the phone.” The temple comprises a family of five. Semp?, the head priest, is my mother’s cousin. He is married to Ry?ko, and together they have three boys, whom I will call Daisuke, Takahagi, and Masa. Daisuke is the oldest and Masa the youngest. Ry?ko, a tiny and attractive woman with a round mouth and large eyes, is an efficient person, accustomed to making sure the four men in her family make all their appointments on time, wear clean clothing, and eat the excellent meals she cooks. Ry?ko is vintage T?hoku in that beneath her practical exterior are glittering flashes of good humor, like bubbles in a glass of champagne. She cuts an elegantly trim figure in the kimonos she wears to the numerous funeral services conducted at the temple, which are the main source of her family’s income. She is equally, or perhaps even more, at home in a sunakku, or pub, trading jokes with locals, her slim hand holding a beer aloft. Ry?ko explained that the earthquake had not caused any major damage to the temple’s structure or, more importantly, to any of the tombstones. Everyone was unharmed. My mother hung up. Not long after, we learned that a new monster was now awake in T?hoku: radiation. The Fukushima Daiichi Nuclear Power Plant was just thirty miles from Iwaki. Over the next thirty-six hours, news coverage shifted to the unfolding disaster: one reactor had been damaged by the waves and was on fire, the wind scattering invisible, destructive particles. In some parts of T?hoku it was snowing, and I imagined the radiation camouflaging itself with snowflakes, so beautiful, but so deadly. 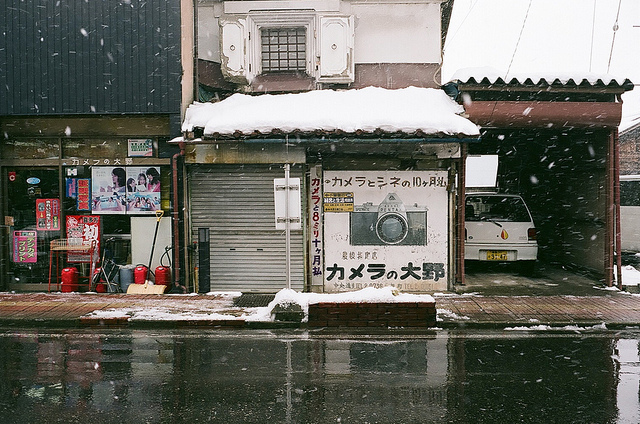 A street in Fukushima, Japan. Photo courtesy Jun Takeuchi. Nearby towns had been evacuated, but not Iwaki because it was on the outer edge of what the government deemed to be safe territory. We managed again to get through to the temple on the phone. This time I spoke to Semp? myself. Semp?’s voice is rich and musical. In general, his style of conversation is not the modern, quickly discursive, or frank kind favored in cities. He pauses, he thinks, he builds up to his point, and then, as though dissatisfied that he hasn’t sufficiently expressed the truth, he begins to dig around some more. It can take a long time to talk to Semp?. He listened to me on the phone as I went on hysterically about the dangers of radiation and reminded him of other family members who had survived the bombing in Nagasaki. Their ordeal had given them hibakusha status, which not only afforded them lifetime free medical care from the Red Cross but also marked them as official radiation victims, which isn’t always a good thing in a culture where people scrutinize family health records and possible weaknesses in DNA before agreeing to marriage. I suggested that the Japanese government was concealing the true extent of the nuclear reactor’s problems. I thought that perhaps the American media was more truthful. He and his family should leave the area. Semp? responded with vague phrases like “That is true.” And “Yes. I see what you mean.” These answers didn’t commit to any sense of urgency and only made me more frantic. Instinctively, I began to talk more, to try to clarify what must surely be a misunderstanding. Couldn’t he urge his children to leave? Semp? was in his sixties, but the boys were in their twenties and thirties. Summer blockbuster movies had taught me the rules of escape: you fled with whatever tools you had, making up your plans as obstacles emerged. That’s the narrative. “Go as far as you can,” I said. “And then walk.” I was sure that this was what I would do, were I in his shoes. In the news coverage of Japan immediately after the nuclear power plant accident, Western reporters praised the Japanese for their stoicism and their selflessness and marveled at the Japanese for being so meticulous in their clean-up efforts. This was true admiration. But I knew it also meant something else. 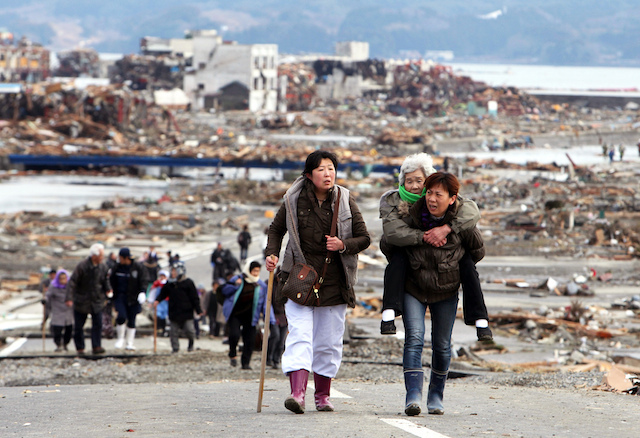 Women leaving Tohoku after the March 2011 earthquake and tsunami. Photo courtesy Warren Antiola. I knew that the reporters were also asking, “How can they do this?” How could fifty volunteers go into the Fukushima Daiichi Nuclear Power Plant to do cleanup? It was the Western reporters who anointed the many engineers and workers at the nuclear power plant with the collective name “the Fukushima Fifty.” The name conjured up the image of other selfless, self-sacrificing figures from Japanese history: the inscrutable samurai who committed ritual suicide, to say nothing of the kamikaze pilots in World War II. I knew what the Western news reporters were thinking but not saying. They were thinking, “You are not quite human and that is why you are not afraid. I admire you, but I could not be you.” I knew this to be true because a part of me was also thinking these things. Another part of me was horrified by the stereotypes now emerging in the media. But then here was Semp? saying he wasn’t afraid of death. I sensed something unspoken in this exchange, something that made me think I had approached this situation incorrectly. The feeling that you have put your foot in your mouth is a common experience in Japan, even to a relative insider. I remember, for example, visiting Aizu Wakamatsu castle in Fukushima Prefecture when I was a teenager. The castle is famous for an episode in 1868 when fifteen young samurai, aged sixteen or seventeen, committed suicide after mistakenly believing the castle under their protection had been taken by the enemy. I was overcome with rage that boys my age would kill themselves, and that we would now celebrate these deaths as beautiful. 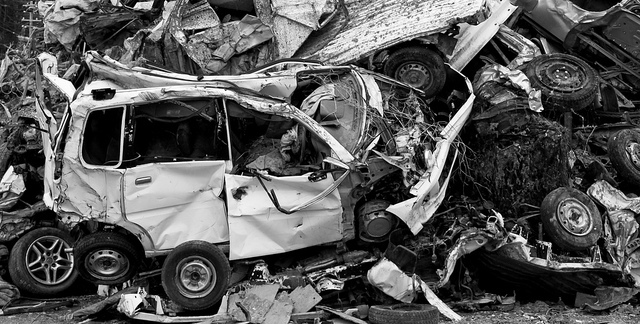 I was forty when the tsunami struck, and death and grief were very much on my mind. My American father, to whom I had been extremely close, had died less than three years before, and I was still struggling to cope with his loss. My Japanese grandmother was dead, and my Japanese grandfather had died at the end of January in 2011. Now my Japanese grandfather’s house was for sale. I had an eighteen-month-old son, and I wanted to give him the same kind of cultural foundation my parents and grandparents had given me. It was my paternal grandmother, an American, who had paid for my airfare to go to Japan every year since I was four, an opportunity she would love to have had; she died in 1993. I, too, wanted my son to feel like he was a citizen of the world. I wanted to rejoice in the future, but I was struggling. After three years of grieving for my father, I was supposed to be feeling better. Instead, I knew I had what modern Western psychology calls “complicated grief.” A few friends had kindly suggested to me that I might be experiencing postpartum depression. One suggested I get my thyroid checked. I laughed all this off. For me, the continuum of grief had been going on for so long, I couldn’t see where one form of depression started and another began. By the time the tsunami struck Japan, I was feeling hopeless about ever managing the voyage from grief to any semblance of “normalcy” or “healing,” the terms most often associated with where you are supposed to go after you have been very sad. Three weeks after the tsunami, I went to Japan with my mother and my son. This was supposed to be the trip during which we buried my grandfather at the temple in Iwaki. Trains from T?ky? still did not travel north, and the roads were closed to everyone except rescue personnel and recovery teams. Burying my grandfather’s bones was a low priority in the middle of such a disaster. We had considered postponing our trip but decided to go anyway, partly as a show of solidarity. There was also quite a bit for us to do at my grandfather’s home; we needed to remove the items we wanted before the old house, whose foundation was infested with termites, was bulldozed and the empty lot put up for sale. I was intent on finding as many letters and photographs as I could. If any of my grandmother’s kimonos could be saved, I was hoping to take these back to America as well. The nearly empty plane circled a wide berth around Japan’s east coast, still shuddering with aftershocks, and its shore a massive wound. The flight attendant alerted us to the damaged nuclear reactor, visible far in the distance, and the seven of us on the plane all rubbernecked to take a look. In the airport, everyone was dressed in black and moved with solemn, apologetic dignity. Already the Japanese energy commission had created a mascot for a new advertising campaign: a little lightbulb with two eyes closed shut. It seemed to be either sleeping or sad or both, and it reminded us to use as little energy as possible. From the airport, to the train, to the city of T?ky?, all was dark. Japan, an island nation, had lost its power. But as we wended our way west, away from the disaster, Japan was flowering with spring. Here, the Japan I remembered from childhood was still resplendent. The cherry trees were blooming, and for a moment we were able to forget our sorrow. Excerpted from Where the Dead Pause, and the Japanese Say Goodbye: A Journey by Marie Mutsuki Mockett. Copyright © 2015 by Marie Mutsuki Mockett. With permission of the publisher, W. W. Norton & Company, Inc. All rights reserved. 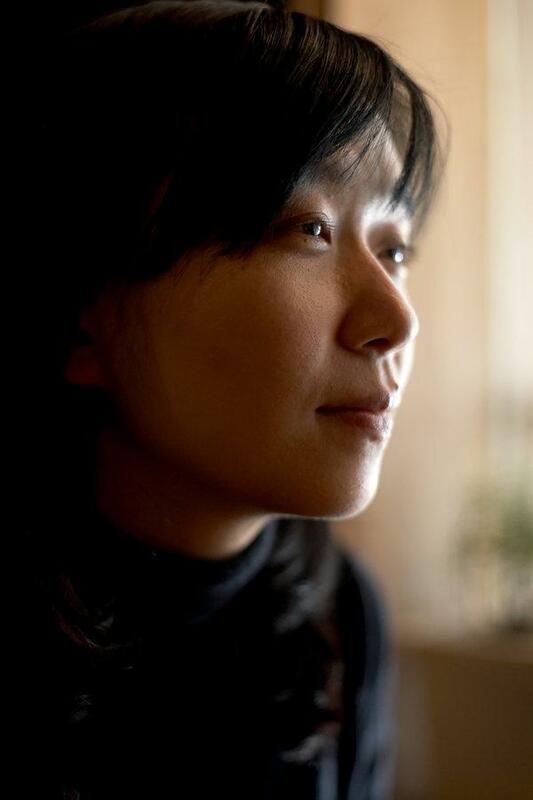 Marie Matskui Mockett 's novel Picking Bones from Ash was shortlisted for the 2010 Saroyan Prize and the Asian American Literary Award for Fiction and was a finalist for the Paterson Prize. She lives in San Francisco.